Notes: Menstrie Castle is a three-storey manor house in the town of Menstrie, Clackmannanshire, near Stirling, central Scotland. From the early 17th century, it was home to Sir William Alexander, 1st Earl of Stirling, who was instrumental in founding the colony of Nova Scotia. 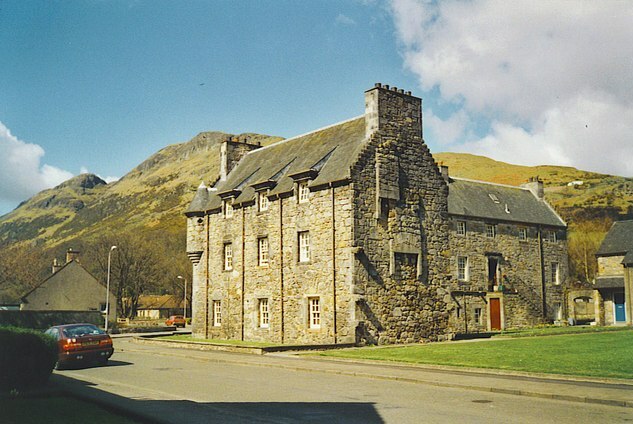 It was later owned by the Holburn or Holborne family, who were created Baronets of Menstrie in 1706. The castle was restored in the 20th century, won a Civic Trust award, and now incorporates holiday accommodation, private flats, and a museum and cafe run by the National Trust for Scotland.